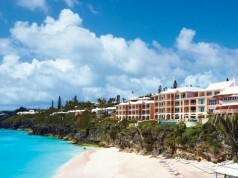 There are many different ways to enjoy the comforts of home when you visit Bermuda, ranging from hotels to beautiful guest houses, but there is none so personal and accommodating as a vacation rental home. With the help of Coldwell Banker Bermuda Realty, you can explore the many different rental homes available on our island, allowing you to narrow down and reserve the vacation accommodations of your dreams long before you ever set foot on our pink sands. Coldwell Banker offers a vacation home rental service in Bermuda, with accommodations ranging from studio apartments and spacious condos to luxury beach villas with private pools; if you desire the utmost in privacy and free, you can even rent your own private island. As of 2014, prices start from around $135 and range upward from there. The Coldwell Banker website offers searchable listings of all available vacation homes, giving you the ability to pick and choose between them for that perfect fit for your Bermuda vacation. 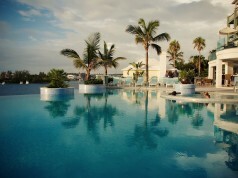 For more information on vacation rental homes in Bermuda, head over to vacationhomesbermuda.com.